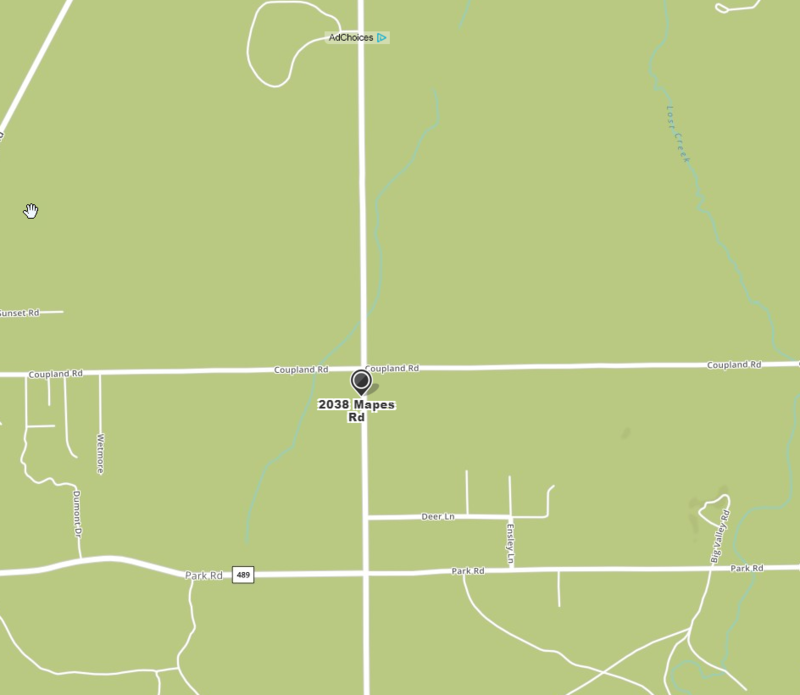 ​We are located on the SW corner of Mapes Road and Coupland Road. We have a white mailbox with the house numbers on a green sign attached to the post. 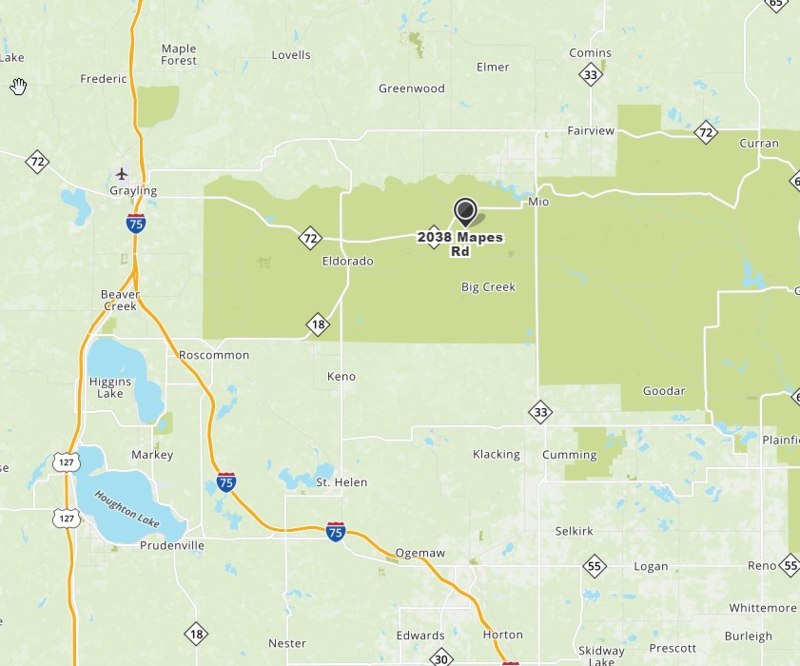 ​We are about 25 miles from Grayling going east on M-72. Coming from other directions, we are about 2 hours from Flint, 3 hours from Grand Rapids, and 2 hours from the Mackinaw Bridge. ​We are in the north east portion of the Lower Peninsula of Michigan.